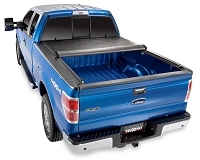 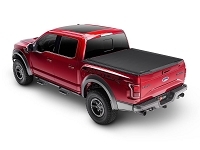 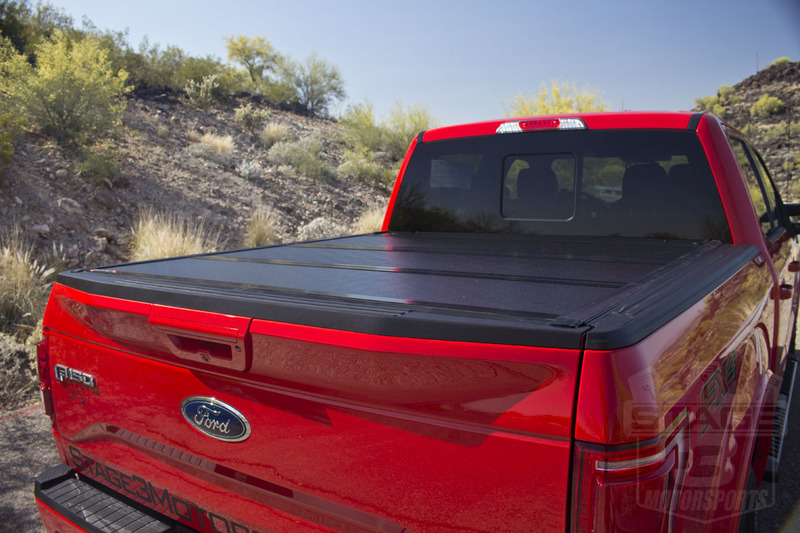 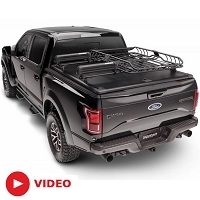 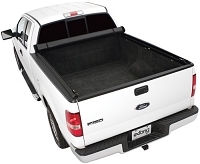 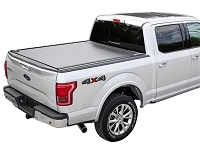 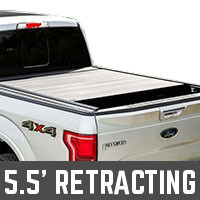 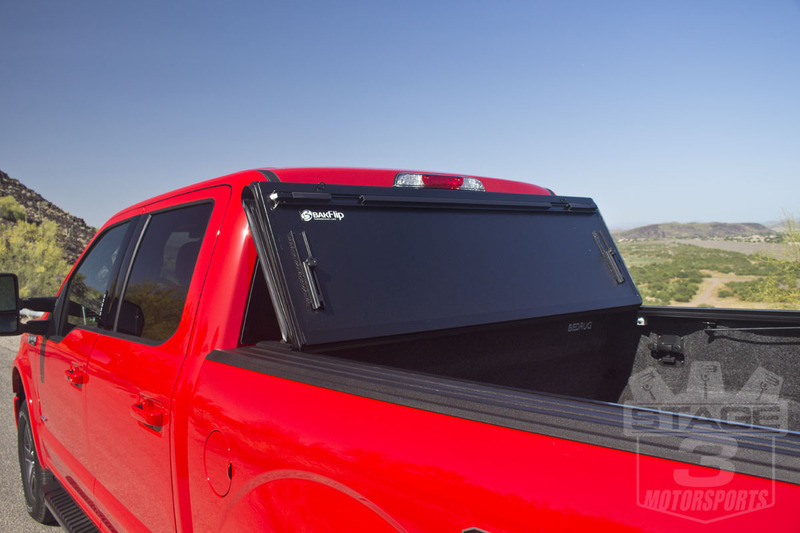 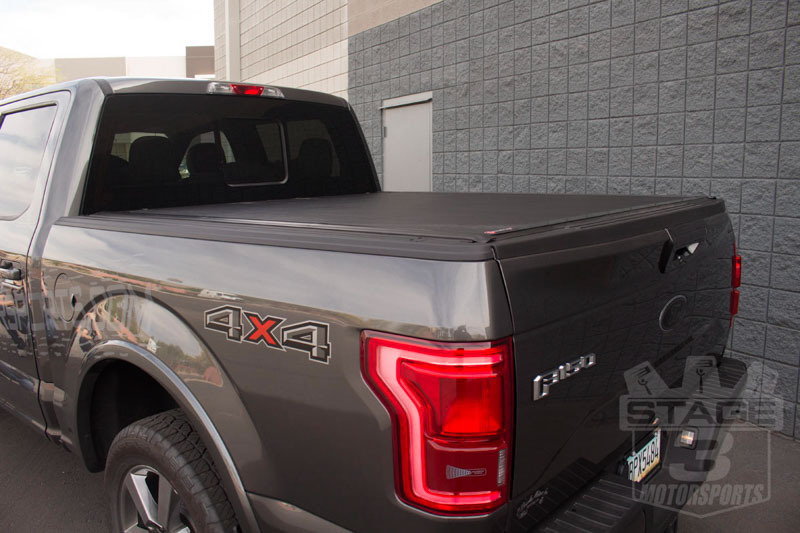 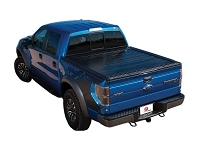 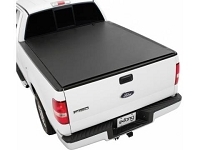 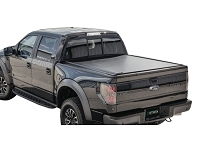 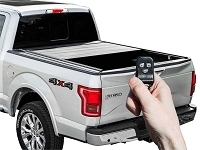 Keep your F150's gear and tools secured with a 2015-2019 F150 & Raptor 5.5ft Bed Tonneau Cover. 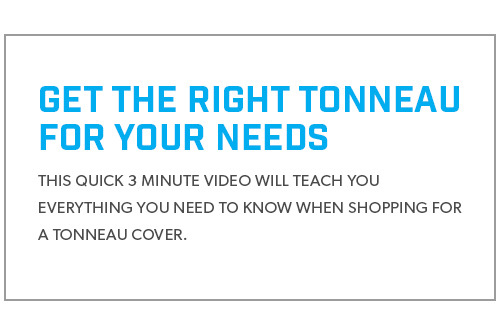 These tonneaus are available in several different styles to match your particular needs or budget. 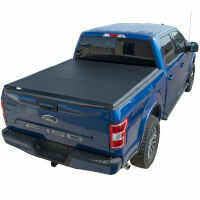 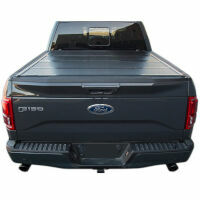 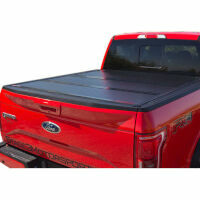 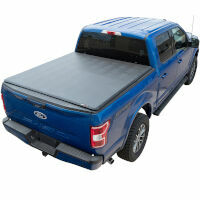 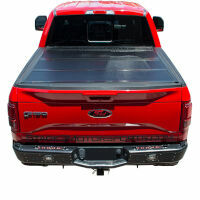 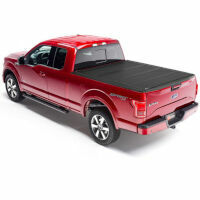 After you have a tonneau, take a look at our F150 5.5ft Bed and Tonneau Accessories or our F150 Leveling Kits. 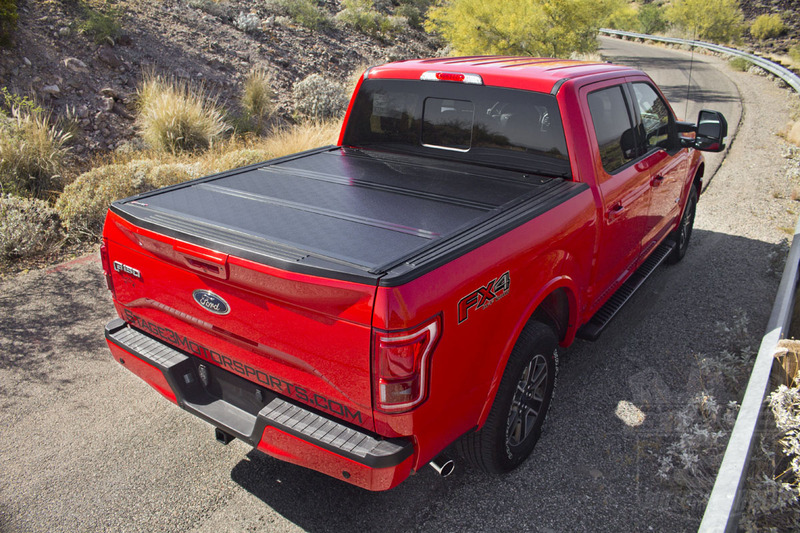 We here at Stage 3 Motorsports use the living hell out of our truck beds, and our 2015 F150 is absolutely no exception to that rule. 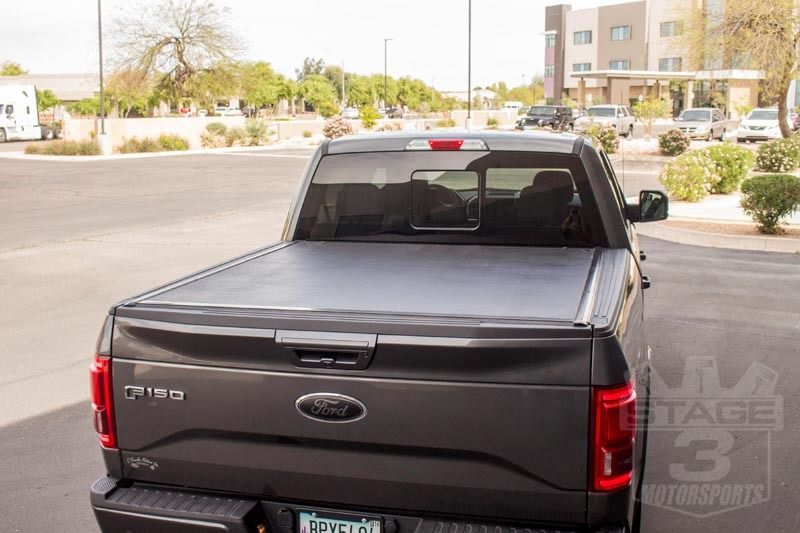 We haul gear, camera equipment, and whatever else we have in mind all over the great state of Arizona through some of the roughest and rockiest terrain so it's important that we have a tonneau cover that is tough enough while allowing us quick access to our bed. 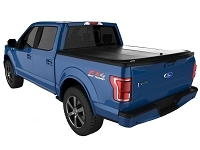 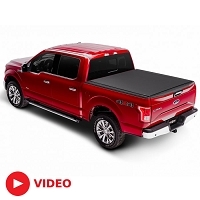 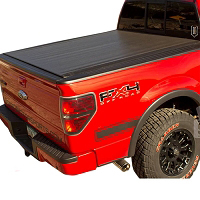 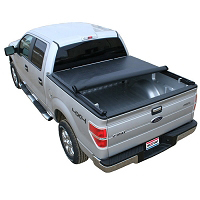 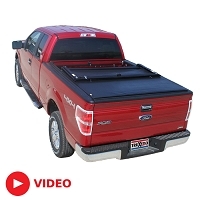 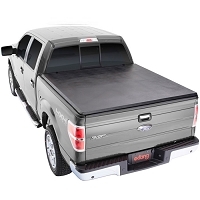 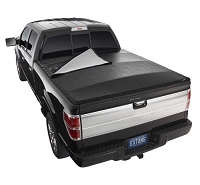 Because of our specific needs, our first tonneau cover choice for our 2015 F150 3.5L EcoBoost Project Truck was a BAK Industries BAKFlip G2 tonneau cover. 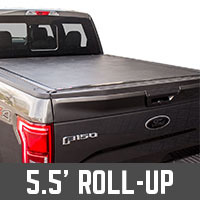 The BAKFlip G2 has a tri-fold design and is made out of heavy-duty aluminum, which we've used on previous models and is proven to survive the amount of abuse we are bound to throw at our truck and its bed over time. 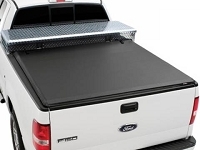 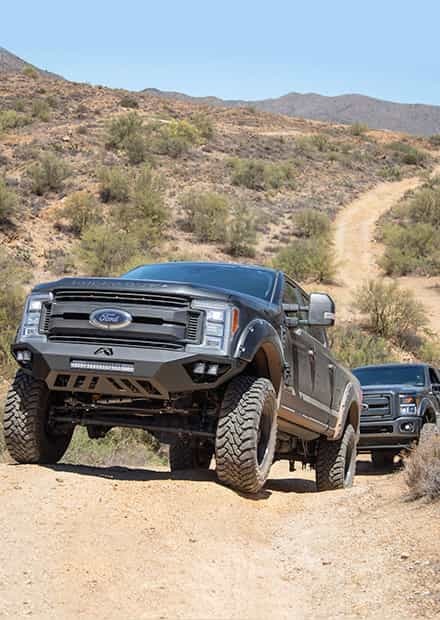 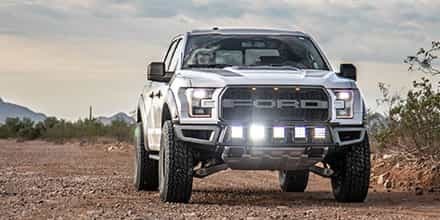 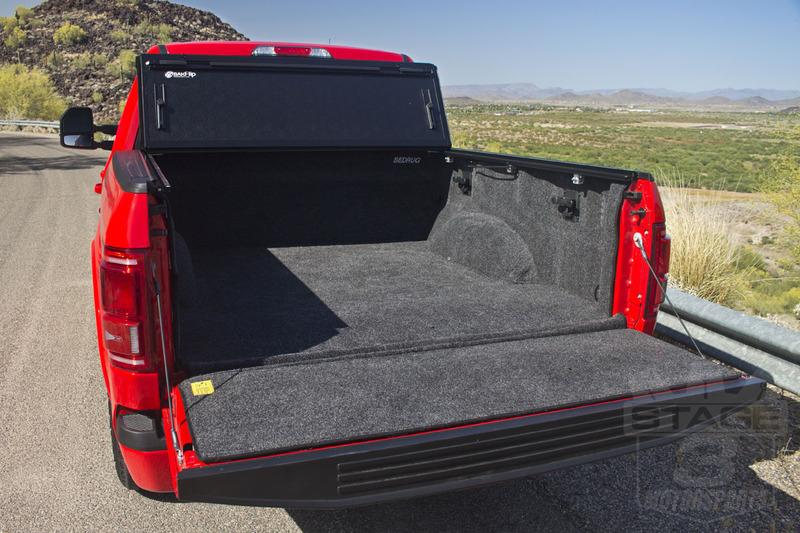 On top of all that, it has a simple, no-drill install and gives you access to cargo from the front or rear of the bed of your truck. 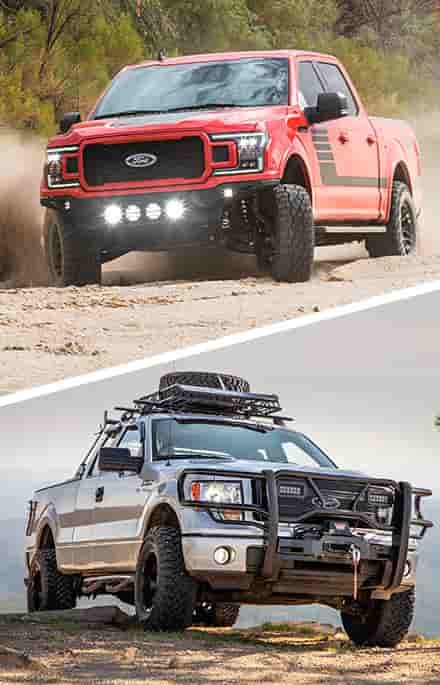 Good stuff all around. 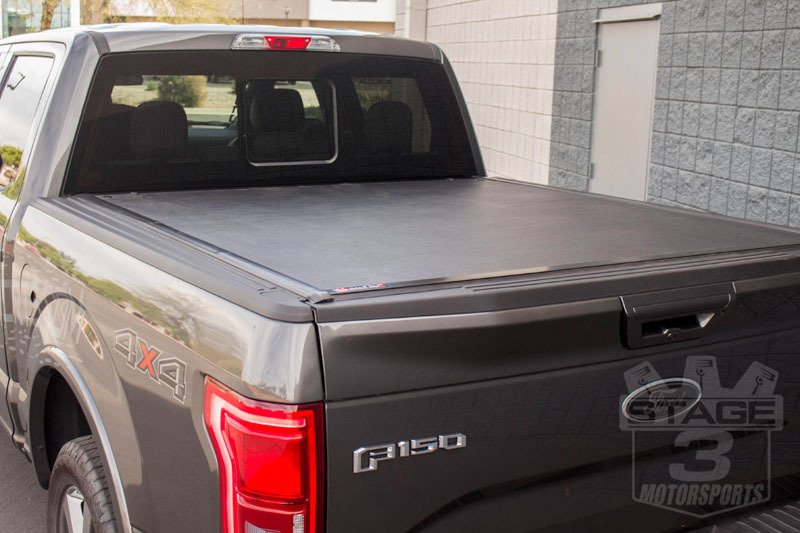 One of the biggest problems with folding tonneau covers, especially high-quality ones, is their price. 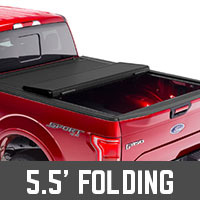 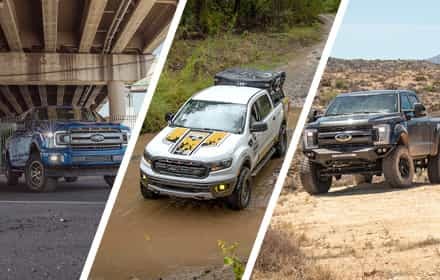 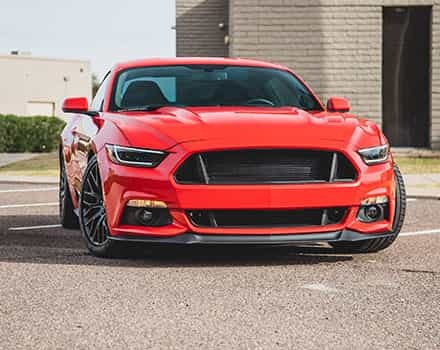 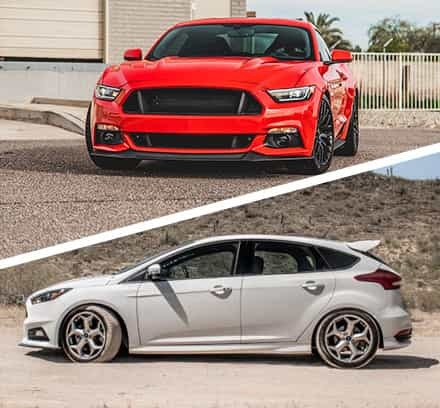 Most of these tonneaus cost a pretty penny, but the BAKFlip VP is here to ease the pain on your wallet while still giving you and your F150 a secure and high-quality folding tonneau cover that won't let you down. 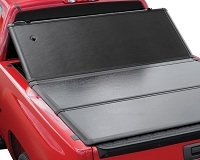 The VP uses a vinyl outer layer to save on cost, while still having aluminum core panels to keep your bed and any gear in it totally secure. 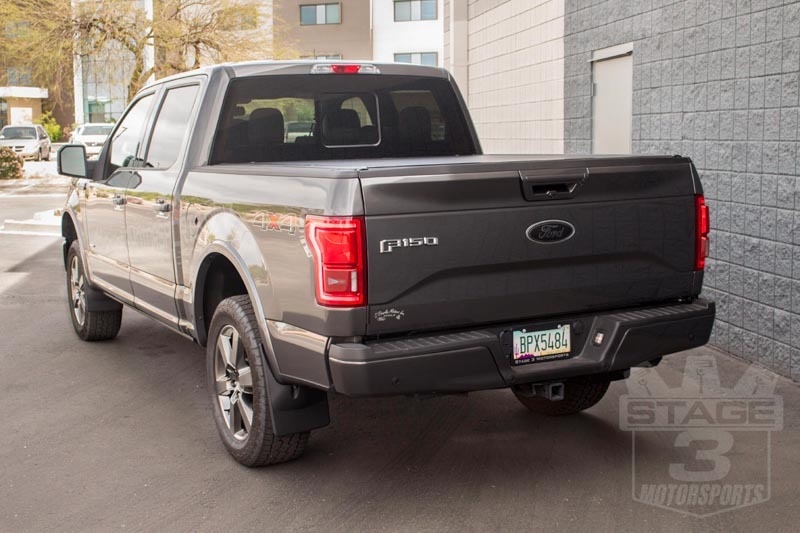 We liked the VP so much, one ended up installed on our 2015 F150 2.7L EcoBoost Project Truck.